ELECTRONICS GURUKULAM: Why transformer ratings are in KVA? 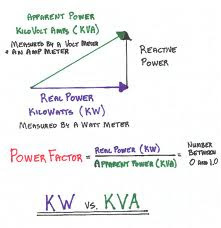 Since the power factor of transformer is dependent on load we only define VA rating and does not include power factor . In case of motors, power factor depend on construction and hence rating of motors is in KWatts and include power factor.